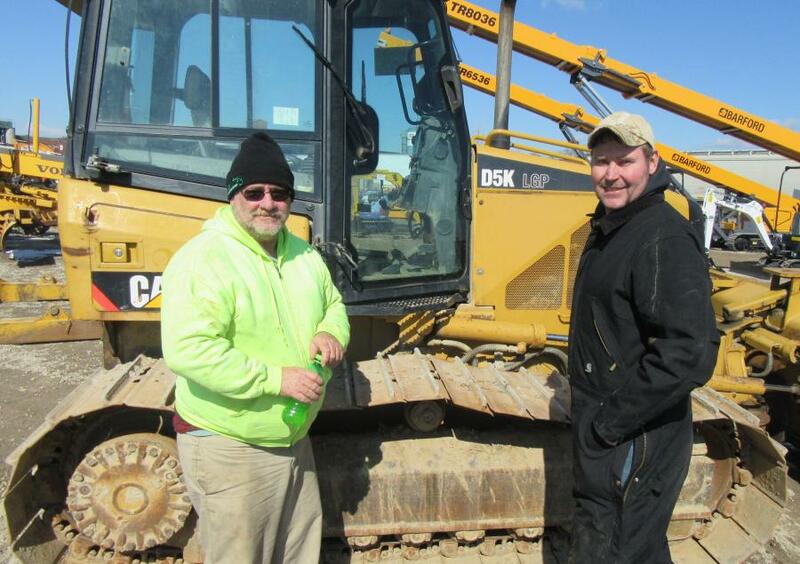 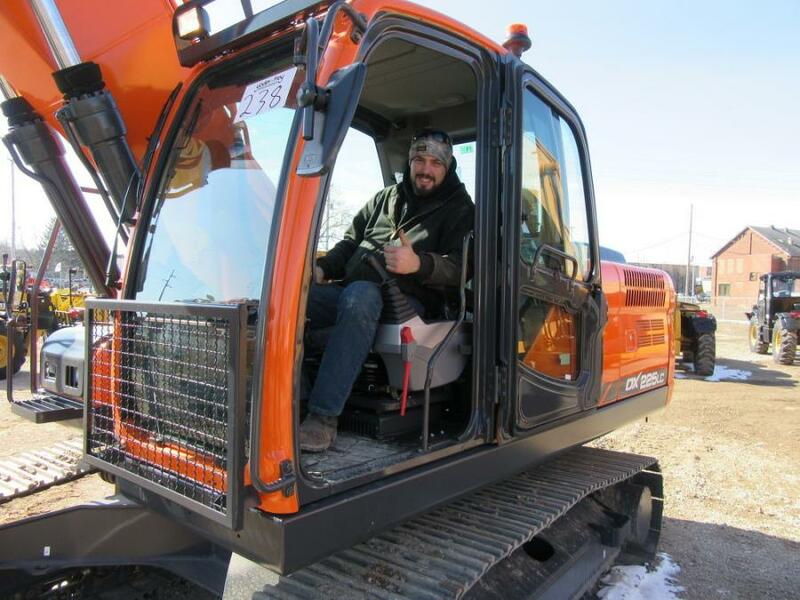 Jake Saxton, Saxton & Smith Excavating & Landscaping, tries out this Doosan DX 225LC excavator. 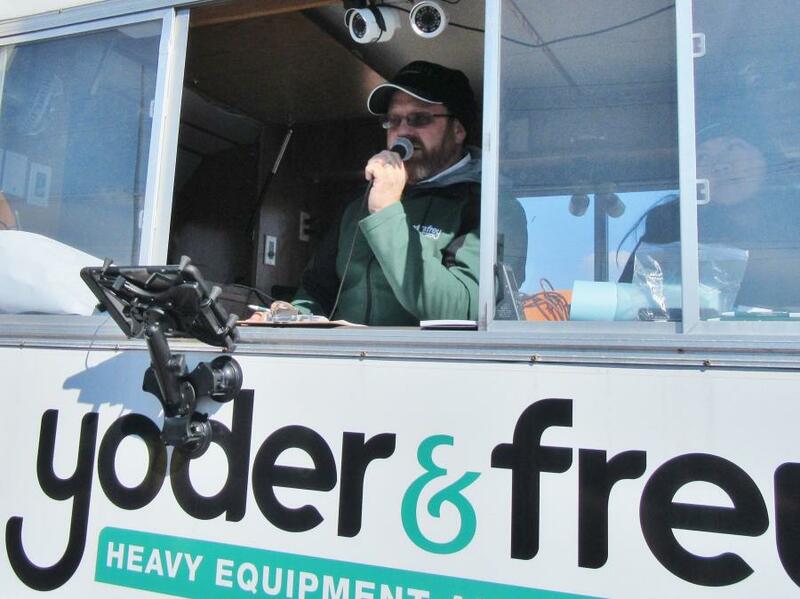 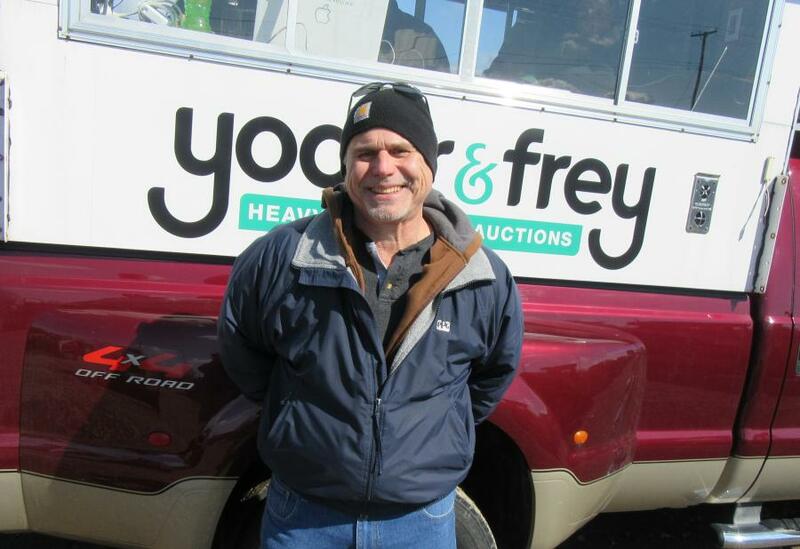 Following closely on the heels of its hugely successful Kissimme auction, Yoder & Frey returned to Ashland, Ohio, for an auction conducted on March 15. 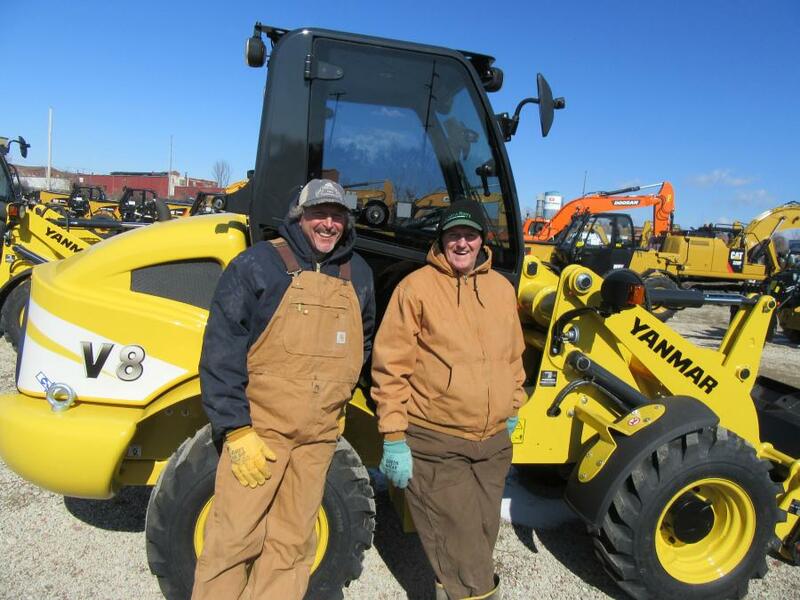 The auction yard in Ashland continues be a popular venue, attracting an enthusiastic crowd of onsite attendees from Ohio and surrounding states while also generating active online bidding. 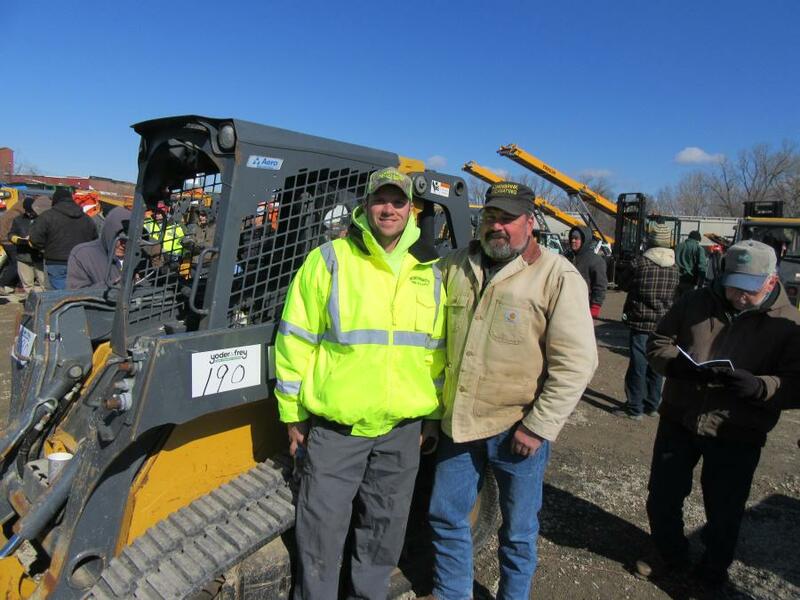 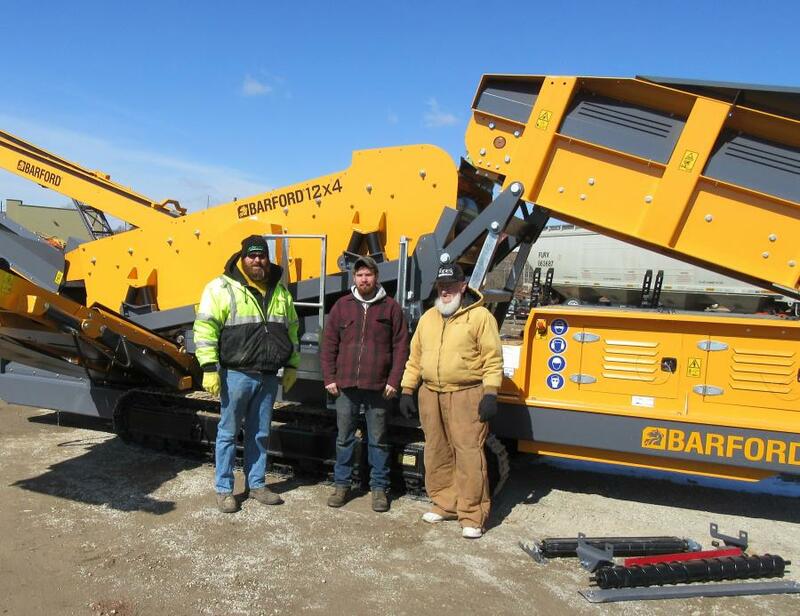 The auction featured a wide selection of fresh machines for the aggregates, construction, farming and forestry industry and included dozers, excavators, skid steers, trucks and trailers.